The Apple iPad; this Apple has a few worms. I, like many of you, am addicted to the iPhone. This love affair began almost 14 months ago; together my iPhone and I have surfed the web, dined in the finest restaurants, navigated the world, and downloaded app after app. We’ve Tweeted, Friended and Linked. I think it’s forever. No…I know it’s forever. Today, the company responsible for my iPhone introduced a new member of the Apple family, the Apple iPad. Would it be love again?? Would this iPad wiggle it’s way into my life and my affections? Sadly, what began with such promise and hope…is now dashed. While my iPhone love has transformed my life; how I make phone calls, surf the web, connect to friends and clients through social media like Twitter, Linked In and Facebook, and yes, even update this blog – the iPad is little more than a giant iTouch. It’s a ‘tweener’ product, elbowing it’s way into the Apple family portrait. Bigger than an iTouch with a larger QWERTY touchscreen but without the computing power and reach of the Apple Powerbook lines. Beyond my personal realization that the Apple iPad doesn’t seem to have a place and purpose in my own life, our ERGOLAB team has some deeper concerns with the ERGONOMIC implications of the product. We already know that laptops can create significant Ergonomic challenges without tricking the tool out with accessories; docking station, keyboard, keyboard tray, monitor, monitor arm and wireless mouse. Once we have pimped out our laptop with Ergonomic accessories, the configuration must be adjusted (ideally by a trained Ergonomist) to ensure neutral body postures and avoid injury. WHEW…exhausting. The Apple iPad has all the Ergonomic challenges associated with the laptop AND takes another step in the WRONG DIRECTION. Typing on the iPad touchscreen while the iPad rests on a flat surface will force the neck into more extreme static neck flexion or extension depending on the users posture. Eye strain is also a risk. TRANSLATED – typing on the iPad for any stretch of time will create neck pain, possible eye strain and could cause injury. The ability to attach a keyboard to the iPad (the iPad Dock) was a good move by Apple; but no consideration was given into the lack of adjustability of the height of the screen once it is attached to the iPad Dock. This was a missed opportunity by Apple to address head-on the Ergonomic issues related to laptop use (these issues are well-documented). The ability to telescope the iPad up and down would allow the iPad to be adjusted to the proper height for the user, ensuring neutral neck postures and subsequently, comfortable viewing. 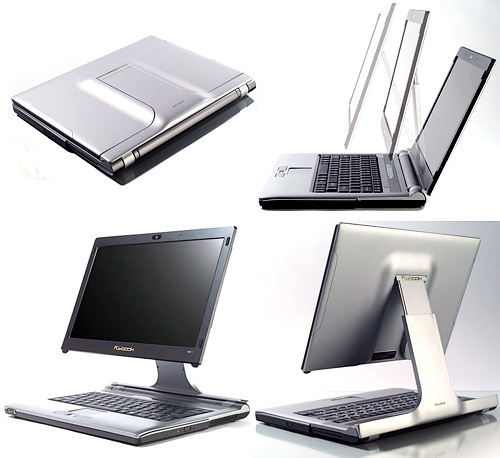 Take a look Flybook’s VM Theory laptop – pictured below – the solutions are out in the marketplace; it is a shame Apple didn’t take this opportunity to address the Ergonomic limitations of small format computing (laptop and tablet formats). 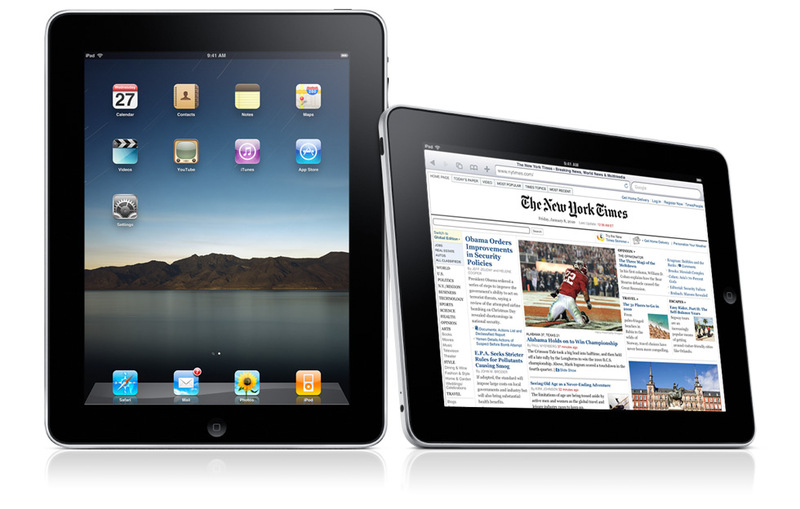 What are your thoughts on the Apple iPad? We’d love to hear from you.